Day Five of New Recipe Week! I want to first start off with saying this meal was GREATLY enhanced by my best friend Melissa and her WONDERFUL recipe for Italian Monkey Bread… yes, you heard me it was so so yummy! 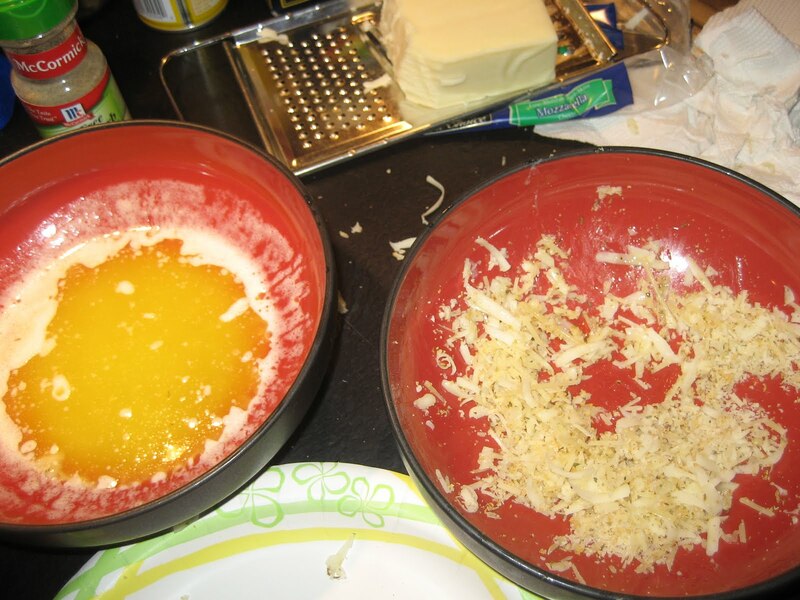 First spray your bunt pan really good and melt your stick of butter in a bowl. 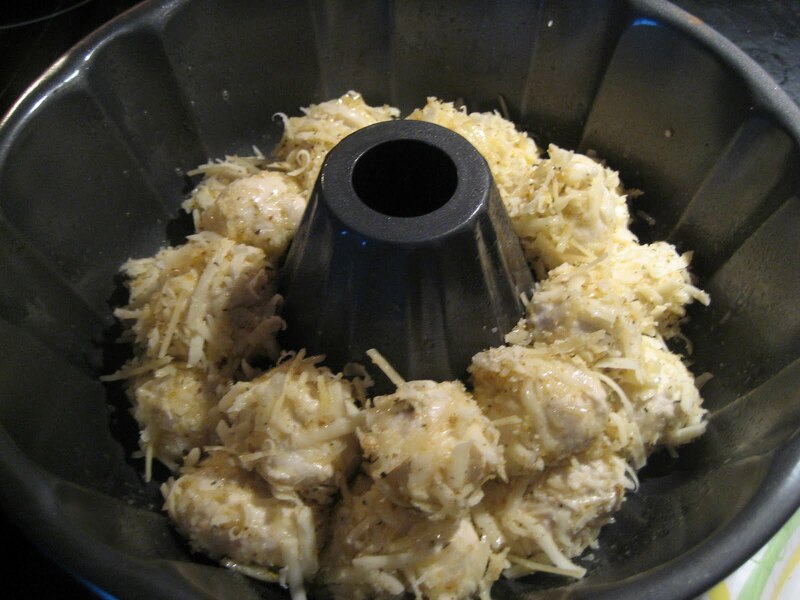 In a separate bowl mix together your cheeses and Italian seasoning…. then you will roll each biscuit into a ball, dip into butter, roll in the cheese mixture then place in the pan. It will look like this…. you then bake it for 20min on 350 degrees, then cover with foil and bake another 10mins. Once removed from the oven let rest for 10 minutes before inverting. 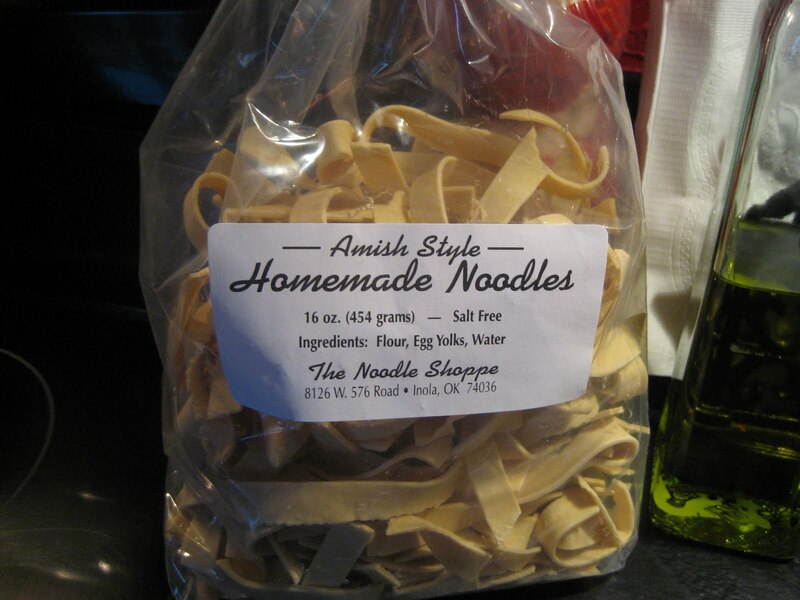 Now onto the main course, my mom got me these Amish noodles in Krebs, Oklahoma and they were delish and perfect for this Rachel Ray meal! Heat large pot of water to a boil, salt water and cook pasta to al dente. While pasta water comes to a boil, heat olive oil in a medium sauce pot over medium-high heat, add pancetta and render 2 to 3 minutes then add meat and break up as it browns. When the meat has begun to caramelize and develops a nice brown color, 4 to 5 minutes, add carrot, onion, 2 cloves of garlic, allspice, salt and pepper and a bay leaf. Cook 3 to 4 minutes more to soften onions and carrots bits then stir in tomato paste and cook for 2 minutes, then stir in wine and cook out 1 minute then stir in stock and reduce heat to simmer. 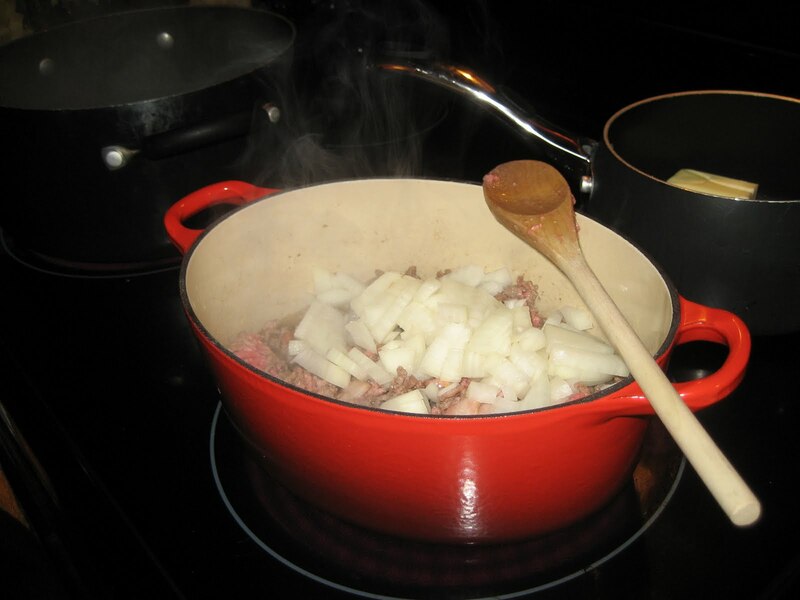 While red sauce cooks, cut remaining whole clove of garlic and rub the inside of a medium sauce pot with it. Melt butter in pot over medium heat. 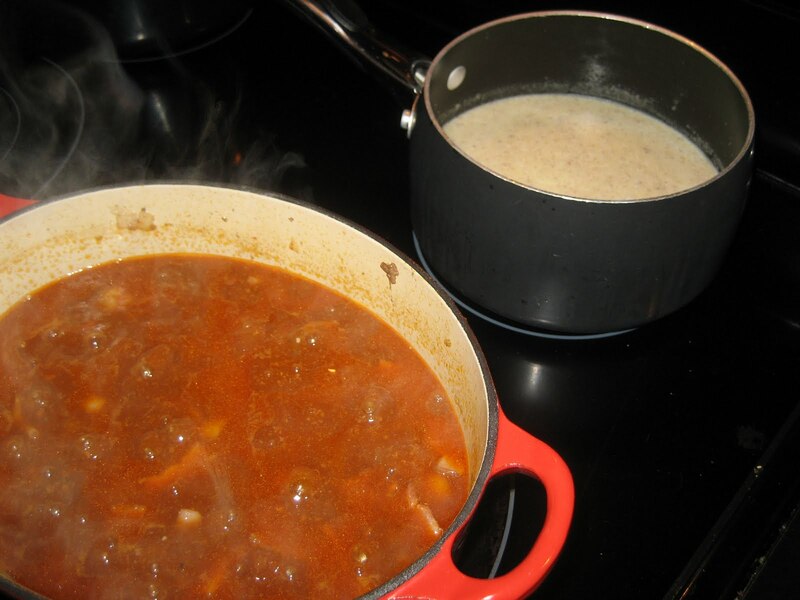 Add in flour and whisk together a minute or so then whisk in milk and bring to a bubble, reduce heat then season sauce with salt, pepper and nutmeg, thicken 8 to 10 minutes. 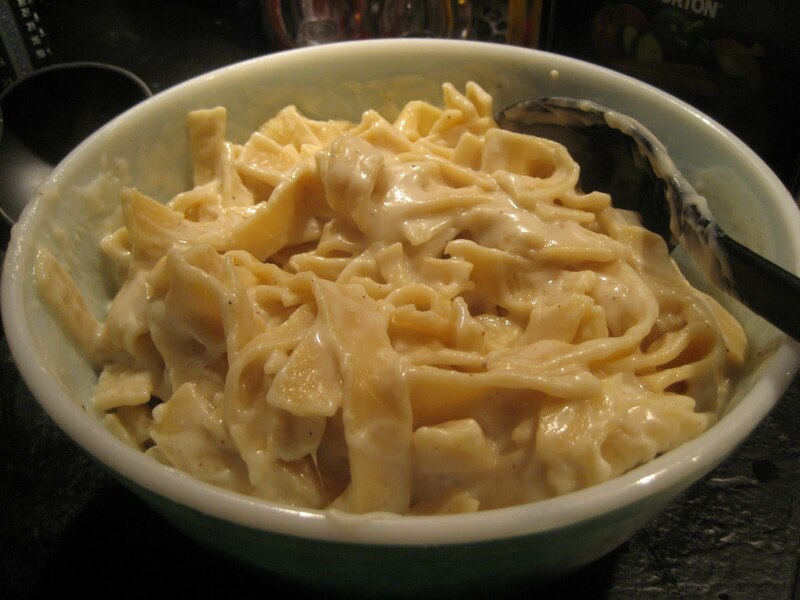 Toss pasta with white sauce and 1/2 cup grated cheese. 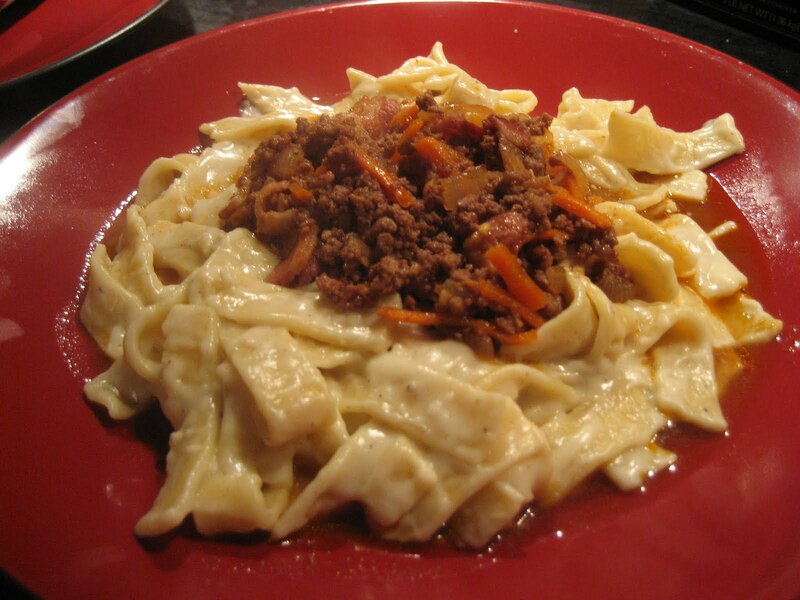 Serve pasta in individual bowls and top with a ladle of meat sauce in the middle of the bowl for mixing in. Garnish with parsley. 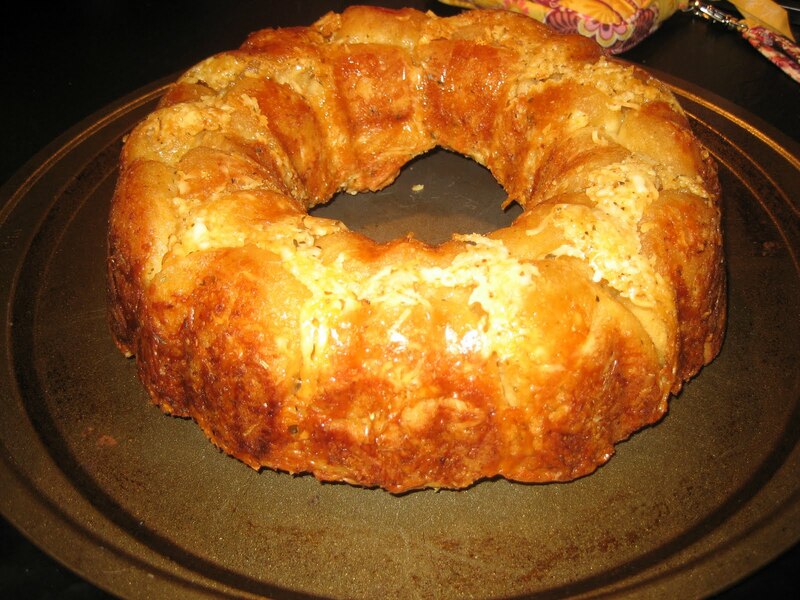 Here is my finished Monkey Bread…………….. Yes, I could of placed it on a nice serving platter but we are all family here!!! * Lastly, I would use more tomatoe paste or even add a can of diced tomatoes…. because this was great but had to tomatoe flavor! Here it is……… It was super yummy but I won’t lie it tasted nothing like Lasagna but whatever it was it tasted great! And oh ya…….it is NOT a 30min meal, Rachel Ray’s recipes are NEVER 30min… this took me over an hour dealing with 3 pots of stuff and the Monkey bread!!!! I hope you all have enjoyed the “Week of New Recipes”!!!!!!! !